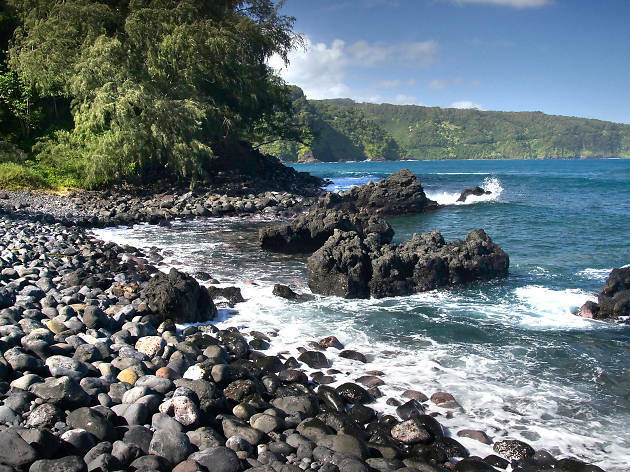 This 65-mile road to Hana is one of the most picturesque drives on any list worldwide, let alone Hawaii. While the road is often narrow and winding (definitely not for the faint of heart or easily car sick) those who make the drive are rewarded with Instagram gold in the form of turquoise waterfalls, wild birds, Jurassic-looking plants and mesmerizing ocean views. Make it a real road trip and don’t forget to stop off at one of the many snack shacks: our personal favorites are Aunty Sandy’s Banana Bread near Ke‘anae Point and Coconut Glen’s for vegan ice cream. Going to Maui and going to a luau are basically synonymous. While some of them can be touristy, one of the Island’s best is the traditionally focused Old Lahina Luau. 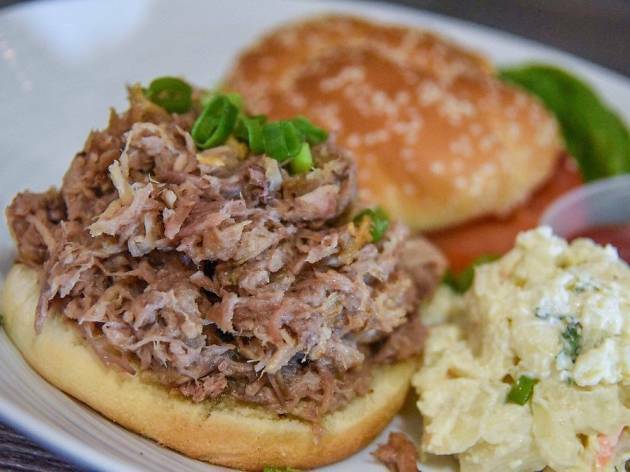 Arrive early to mingle with one of their (dangerously strong and endless) mai tais and get situated in front of the fire pit for prime viewing when they pull the whole roasted pig from the coal pit buried under the ground. Reservations fill up early, so don’t forget to book well ahead of time. 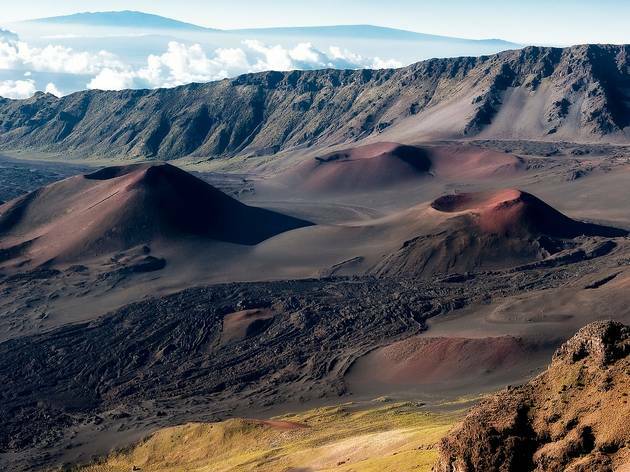 Not only is Haleakala Crater the location where, according to Hawaiian mythology, the demigod Maui lassoed the sun, it’s also one of the most beautiful places you could possibly watch it rise. The dormant volcano’s multi-colored hues of the sweeping red, black, brown and green-colored crater make for the perfect backdrop to a Hawaiian sunrise. If you want to make a morning of it, follow the sunrise with one of the many trails in the park. 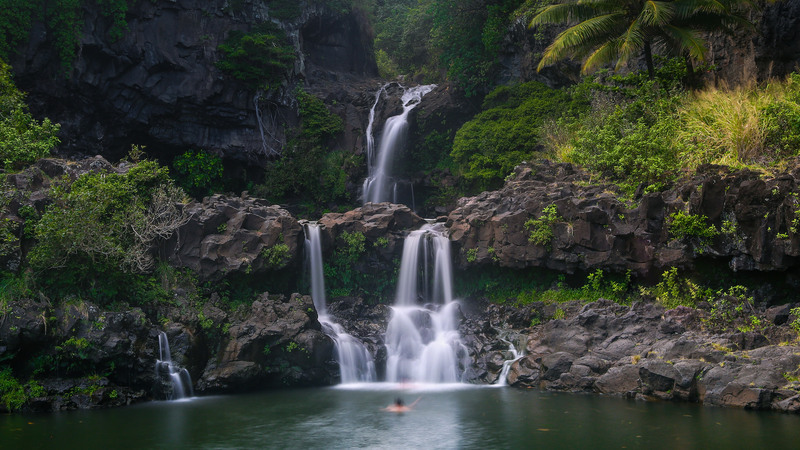 One of the most popular (and shorter, at 4 miles roundtrip) is Pipiwai, which leads to the Waimoku Falls and the Pools of 'Ohe'o. With several locations now scattered across Maui, it’s safe to say that Ululani’s has won over the hearts and shave ice cravings of Maui. 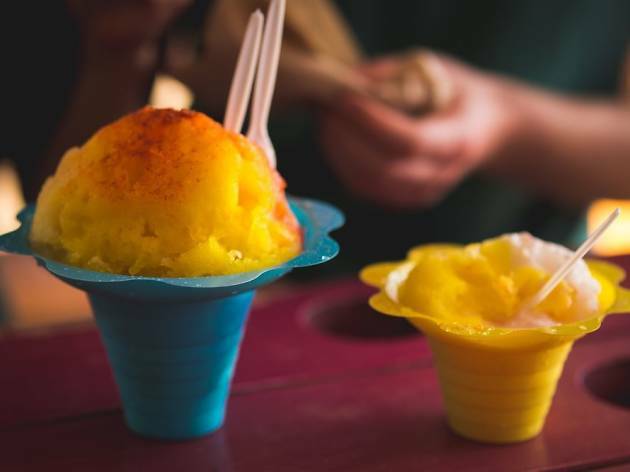 Arguably the fluffiest shave ice to grace the island, Ululani’s boasts more than 50 different flavors to make your choice impossibly difficult, from the simple (strawberry) to the exotic (pickled mango). Just remember there’s no wrong choice. 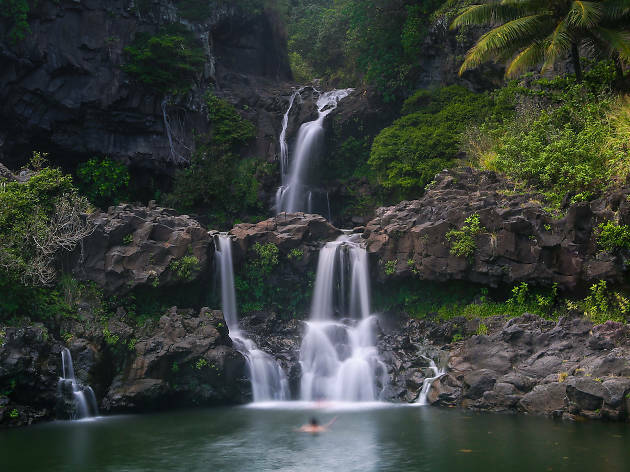 Nicknamed the seven sacred pools, the pools of Oheo’o is the waterfall swimming experience of your dreams. 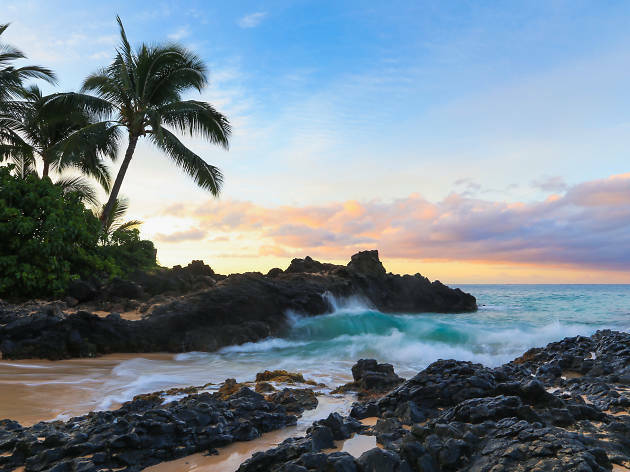 A cascading series of waterfalls and pools surrounded by lush rainforest that leads out into the ocean on Maui’s south-east coast, the pools have long been considered one of the wonders of the world. The only thing: due to often slippery conditions and landsides the pools can be closed for swimming depending on weather, so be sure to check online ahead of time. Swimming or no swimming, it’s still a sight to behold. Maybe you’ve bought pearls before, but have you ever experienced the joy of cracking into a briny bivalve and plucking one from inside? Well, now you can, thanks to the Pearl Factory. Pick your oyster from its watery home and learn to bless it Hawaiian-style before cracking into it. 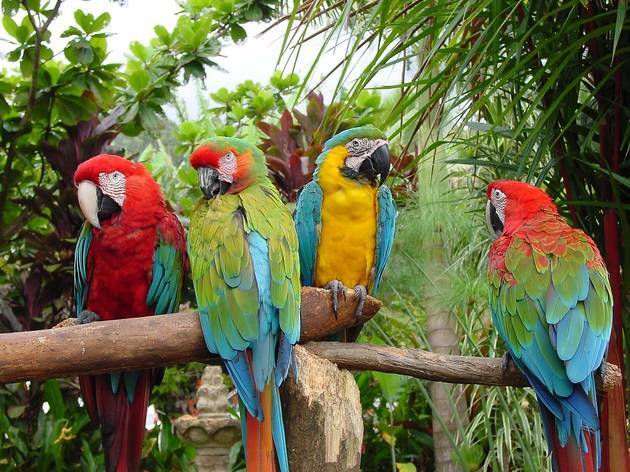 Colors range from white to blue, black and pink, and each represent something different. 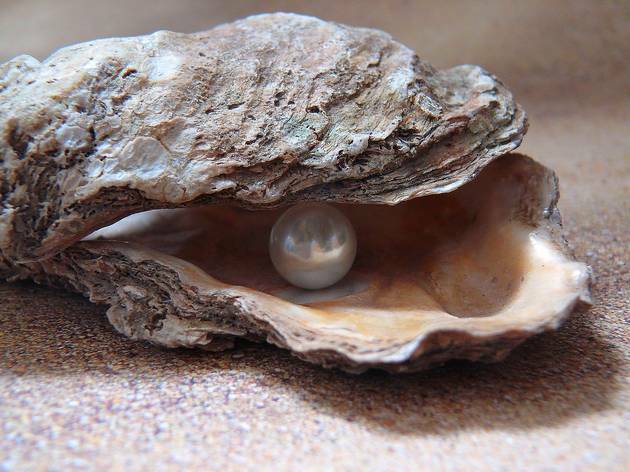 Shine it in salt and take it home as a single pearl or mount it on a necklace or ring and you’ll have the perfect keepsake from your trip. The Lahina birdstand is one of those great vacation catch 22s. Yes, taking a picture on the sidewalk with a bunch of parrots perched upon your head and shoulders while you wear a plastic lei is kind of touristy. It also happens to be one of those wonderfully bizarre and kitschy things that you’ll never forget, and that makes it perfect. We’re sensing your next family Christmas card on the horizon. Mai Tais are a dime-a-dozen in Maui, but they’re definitely not all created equal. 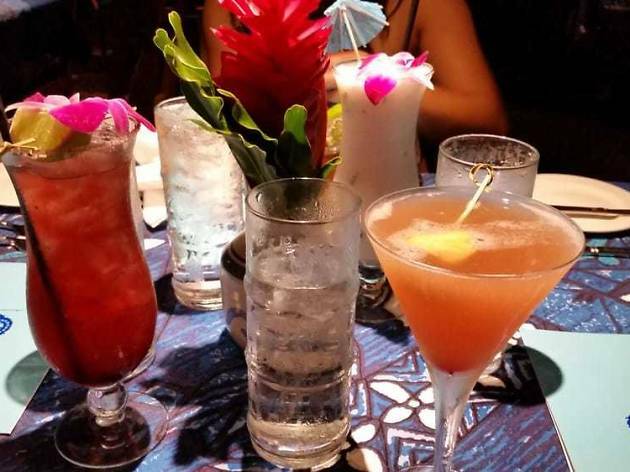 While endless hotels, bars and restaurant boast the best in town, there’s one that stands apart from all the rest: The Mai Tai Roa Ae at Mama’s Fish House. This legendary fish house in Paia may gather crowds (deservingly) for the food, but the Mai Tai is just as noteworthy, especially while enjoyed from a window table overlooking their secluded beach. While you can find sea turtles at a few different beaches in Maui, like any animal in nature they move to the beat of their own drum. The safest bet at actually spotting some is at Maluaka Beach. 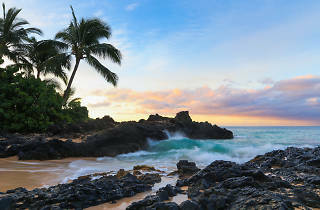 Lovingly referred to as “turtle town” this beach is known for its high population of Hawaiian green sea turtles. 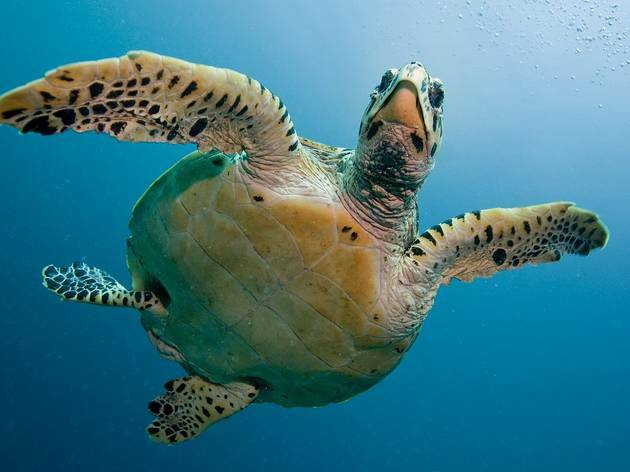 Keep your eyes peeled; while the name would have you think these turtles are green, they’re actually a deep brown and can often be mistaken for rocks jutting out of the water. With 36 taps showcasing the best and most interesting craft beers Maui Brewing company has to offer, the brewery’s Kihei brewing headquarters is the perfect way to dive into Hawaiian beer making. 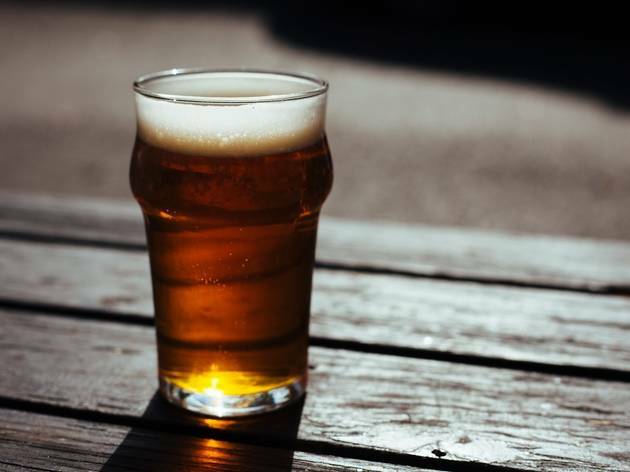 Whether you want to get educational and partake in one of their six daily brewery tours or just sit back, grab a bite to eat and play a board game with friends, Maui brewing Company is a must for the visiting beer lover. 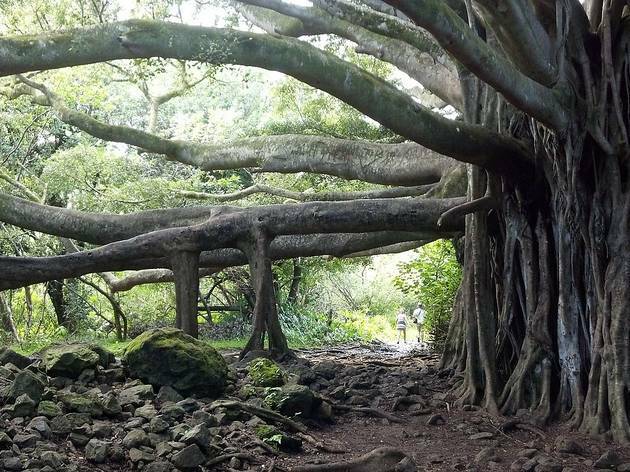 Located in the heart of downtown Lahina, the Banyan tree’s interlaced, spreading structure makes it one of the most epic trees on earth. At more than 145 years old, this massive tree, originally planted by protestant missionaries, has grown 16 separate trunks (yes, this is one singular tree), is 60 feet high and boasts a canopy that stretches over two thirds of an acre. Not impressed yet? It’s not only the biggest Banyan tree in the state, but the entire United States as well. 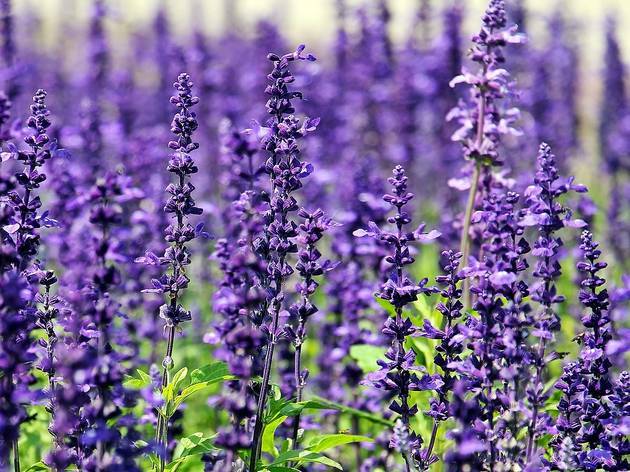 For a completely different vibe than Maui’s beach scene, head inland to the ranches and visit Kula’s Ali’I Lavender farm. With sweeping views of the island and gardens that are open to the public to walk (there’s also a paid tour for those wanting to learn more about the flora and fauna of the farm), it’s the perfect way to spend an afternoon outside. While there are a few good beginner surf spots around the island, the cove in Kihei is usually the safest bet for success. With waves just a bit on the smaller side than the rest of the beginner surf spots on the island and rows of surf schools and board rental shops just across the street, it’s the perfect place to give Hawaii’s official sport a go with minimal board lugging. 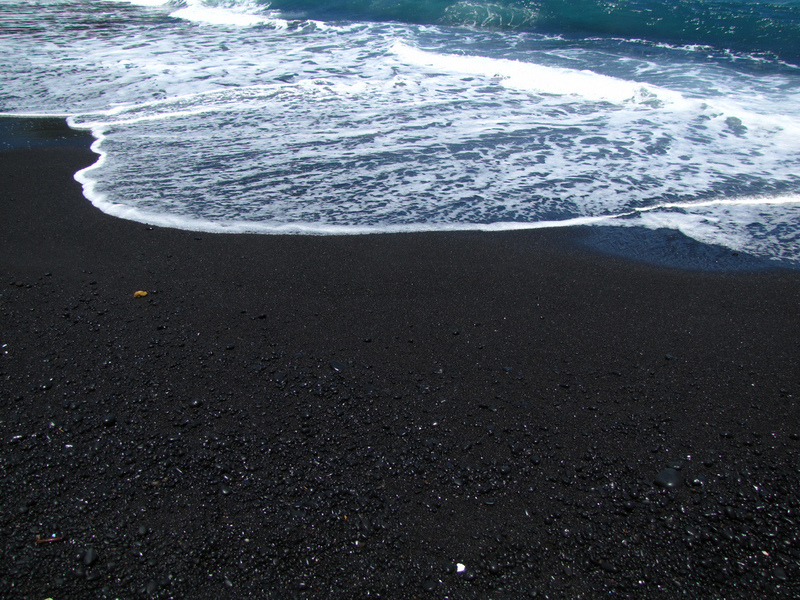 Maui has a few different black sand beaches on its shores, but the one to head to is at Waiʻanapanapa State Park off Hana Highway. Located at mile marker 32, you can spend your entire day at this black sand beach exploring tide pools, lava tubes, blow holes and even a few caves. Diving into a Loco Moco is as truly Hawaiian an eating experience—an insanely gluttonous one—and when it comes to the best in Maui, locals head to Da Kitchen. While the classic version of a Loco Moco is a hamburger patty served atop rice that’s then covered in a fried egg and smothered in gravy, the real gems here are the over the top riffs on the classic. From the Polynesian Paralysis Moco to the Notorious B.I.G Moco, it’s safe to say that no matter what you pick, you won’t be hungry again for a while. 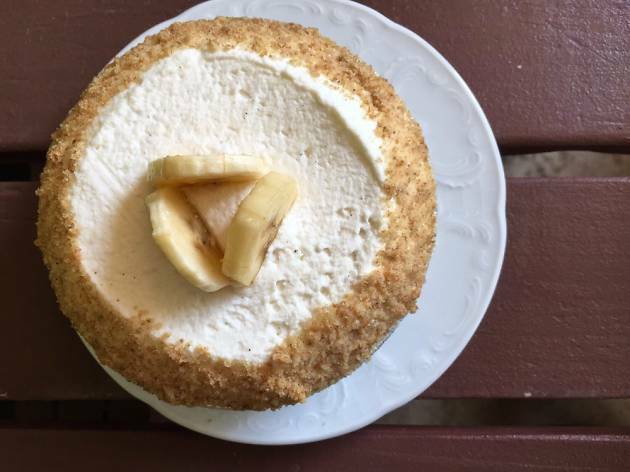 With perfectly executed pies coming in flavors like coconut cream, banana cream, pineapple macadamia and chocolate macadamia, you’ll understand why Leoda’s has been a staple for Maui locals with a sweet tooth for years. Questioning if pie is worth a special trek all its own? In Leoda’s case, the answer is a resounding yes. 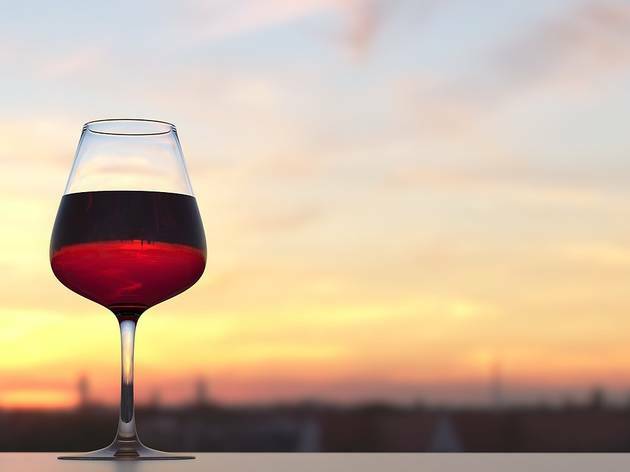 While wine tasting might be the last thing you imagined doing while visiting a tropical island, Maui’s Ulupalakua Vineyards is worth a day of glass swirling and sipping. They do produce a range of typical grape varietal wines such as chardonnay and Syrah for the wine purist, but what makes them unique and truly worth a visit is their line of pineapple wines made from local pineapples. Cheers to that! 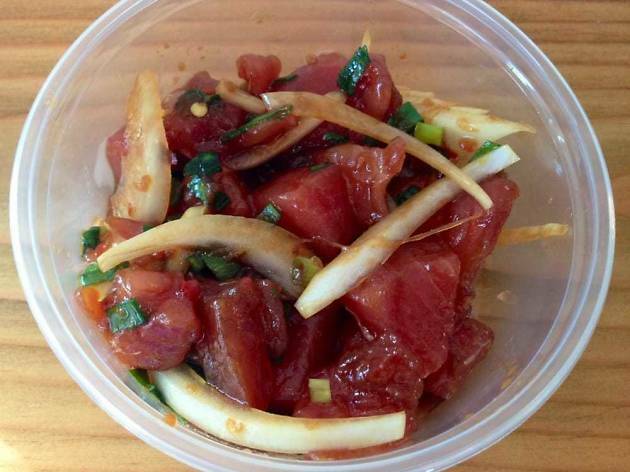 Poke is about as common as air in Maui, but one of the island’s best is found at The Fish Market in West Maui’s Honokowai. Part takeout counter, part fresh fish market, the no-muss-no-fuss version made here with just-caught ahi tuna, onion, soy and green onion is the simple sort of perfect that lets the fish shine. 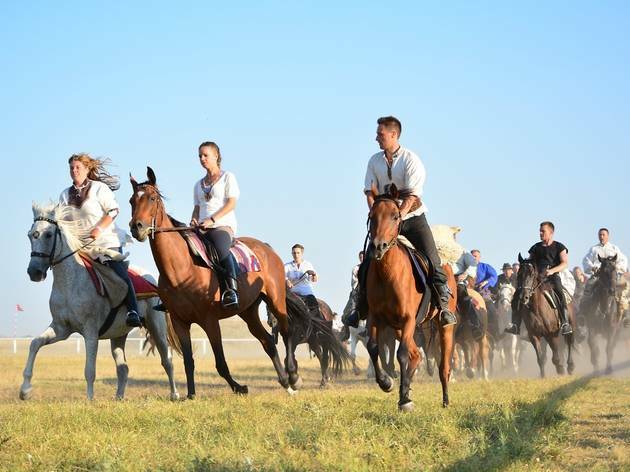 Want to go all-out? Their fish tacos are just as delicious and revered as the poke here (we won’t judge). 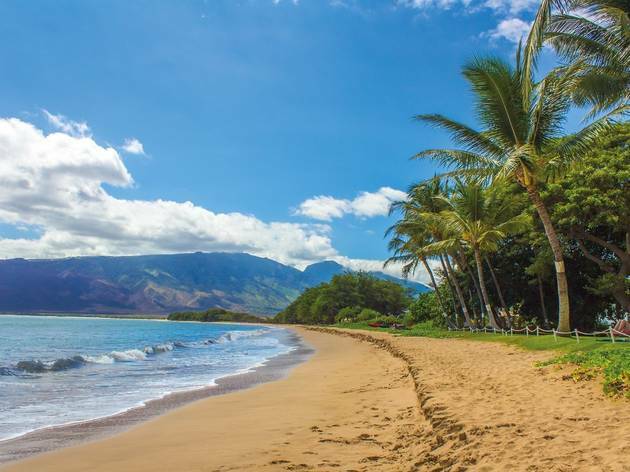 Maui’s oceans are rich with marine life and there’s no better way to explore it than by snorkeling at Honolua bay. A marine preserve where fishing is not allowed, the bay is highly populated by a vast array of Hawaiian fish, corals and sea plants. 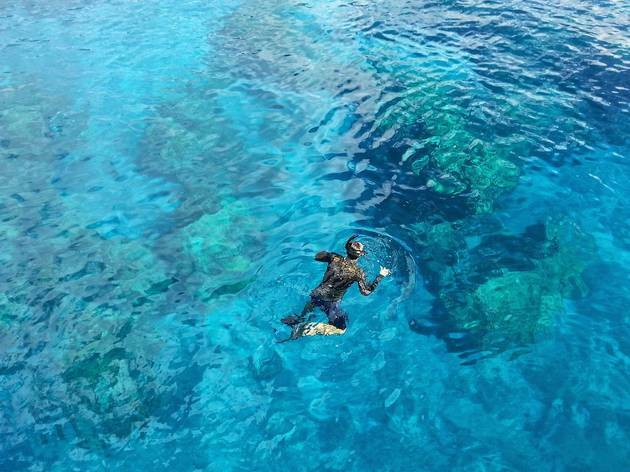 To see the most sea life, aim for a morning snorkeling session between 7am and 11am when visibility is at its best. Forget walking—the best way to experience the rolling hills of a Maui pineapple plantation is to horseback ride through them. Saddle up at Ironwood Ranch in Napili and you’ll soon be giddying-up through rain forests, green mountainsides, and (yes) pineapple fields like a regular Hawaiian ranch hand. 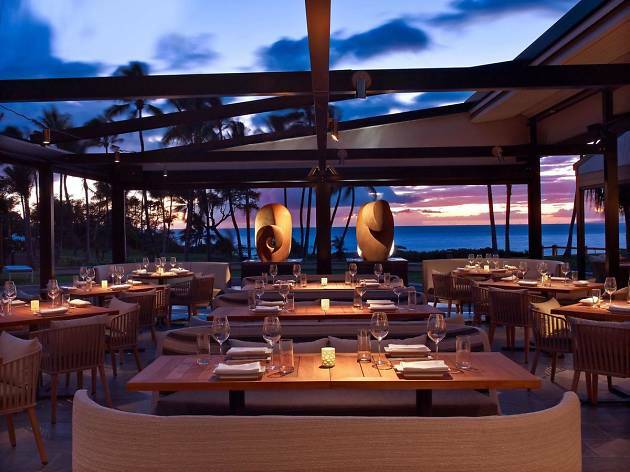 Maui's best restaurants boast influences from the many diverse heritages of the island’s population, spanning Japanese to Filipino and Chinese; modern Maui cuisine is something that you’d be hard-pressed to find off the island.